As we head into the Memorial Day weekend, what comes to your mind? 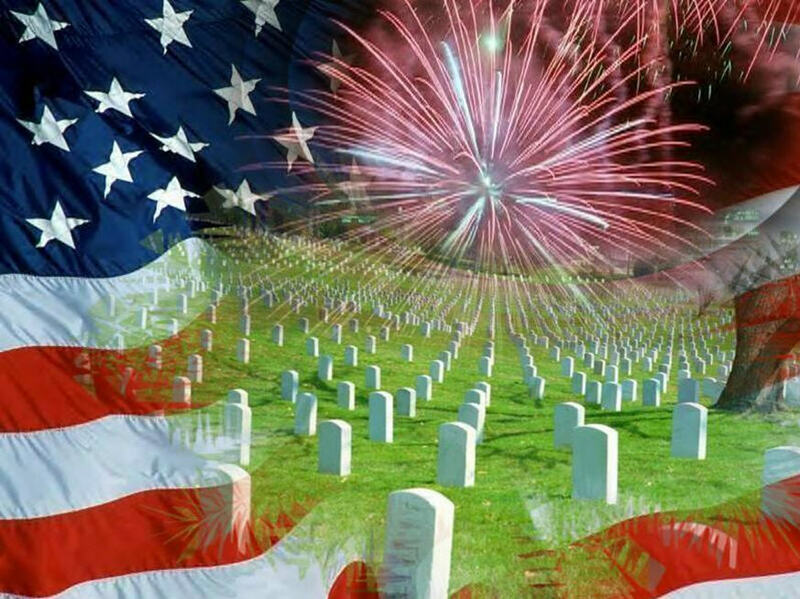 Memorial Day is the day to remember the many men and women in the military who died in the service of our country. The most recent military action involves Iraq and Afghanistan. My good friend Lorraine's son Michael is serving in the Navy and has been in Iraq several times now. In my teenage years, Vietnam was the war that impacted my generation. I still remember Timmy Shelton of Lindenhurst, New York who died in that war. His parents had a sign on their front lawn for all to see and I noticed it everytime I went to my friend Robyn's house. It was so sad. My brother Steve enlisted in the Navy back in 1970. My cousin Ken was in the Army and spent much time in Vietnam. Thankfully, both of them came home. My parents grew up during the time of World War II. Recently, my husband and I had the opportunity to view the HBO 10 part miniseries called "The Pacific". It was produced by Tom Hanks, Steven Spielberg and Gary Goetzman. They followed the stories of three United States Marines during WWII in the Pacific. I dislike war but I realize that there are times when it may be necessary. My heart goes out to the families who have loved ones serving in the military today. However, I am so thankful for them too. Take a moment to see the preview of this amazing mini-series called "The Pacific". As you celebrate Memorial Day, would you remember those who lost their lives in service to our country? I also applaud those who served and are serving our country. Friends of ours lost their son two years ago in Afghanistan so it hit close to home. Yes, we know boys in Iraq...you really feel it when you have sons the ages of those serving our country. Thanks for the heads up on this series, will have to check it out...we just finished studying this time period. Blessings to all the families who are and have served our country!!!! Hi sweetie, Hope you are doing well and that you will have a wonderful, joy filled weekend. I too am thankful for all those, past and present, that have served our country. Very appropriate reminder to remember and appreciate those who sacrifice for this country! May God bless and protect our troops and their families. Happy Memorial Weekend. amen. thank you for a renewed sense of the right focus of this weekend! have a great weekend! Looks awesome! We love stuff like this... especially when it gives us pause in our heart to remember where we've come from and the country we love. Is this on tv or on DVD? We'd love to get it. And yes, I will pause to remember all of those who have so valiantly fought for the cause of my freedom. What an incredible gift we've been given in our freedom!